Welcome to Mary's Justine Website from where you can always get the latest information on all Justine's products. Justine is one of the most favoured high tech cosmetic and skincare products available in South Africa. It is tailored for a woman's most desired requirements. Due to international demand from ex South Africans familiar with the product and also due to demand from clients in South Africa, having preference for counter-to-counter delivery, all Justine products are now available to you at almost any place in the World. 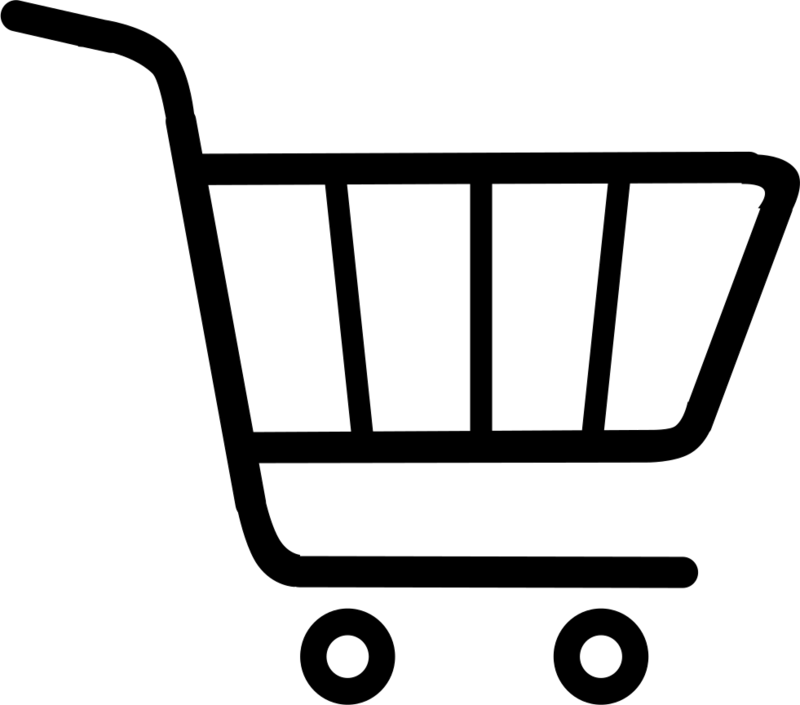 Simply e-mail Mary by clicking on Mary below to open your e-mail programme for typing and sending of your message for details on prices as well as cost of mailing to your nearest Post Office . Experience the golden goodness of Justine Tissue Oil, now available as an intensive skincare treatment specifically formulated for the face. Lighter and easily absorbed, Justine Tissue Oil Facial Treatment with Rosehip is an ideal treatment for dry, sensitive, stressed skin, acne scarring and dark spots. Gently nourishing, this is a naturally lighter carrier oil that ensures this treatment is easily absorbed with no greasy after-feel. Justine Tissue Oil Facial Treatment with Rosehip, 30ml. Code 4622. Suitable for all skin types, especially dry and extremely dry skin. Justine Luminessence Brightening Day Cream SPF 25. Corn kernel extract helps to minimise the appearance of wrinkles. Suitable for all skin types, but not recommended for oily skin. Dehydration affects all skin types, especially in harsh climates, resulting in loss of firmness, fine lines and loss of plumpness. Although conventional moisturisers help the skin to maintain correct moisture levels, dehydrated skin requires additional care to help restore the imbalance in moisture levels. Developed especially for the harsh South African climate, the Hydro-Balance you love and trust now includes aqua cacteen and a marine-hydrating complex to ensure long-lasting hydration for skin that lacks moisture and plumpness. Hydro-Balance Continuous Moisture Release Cream: intensive and long-term hydration for dry and dehydrated skin. • HydrObalance Continuous Moisture Release Cream, suitable for all skin types, especially dry and dehydrated skin. Are the first signs of lines & wrinkles making you frown? We all worry about the first lines and wrinkles that make an appearance in our early 20s. The Justine Optimist you love and trust is now formulated with ground-breaking technology for younger skins starting to show the first signs of ageing. · The light textures are formulated with specially-selected key ingredients to reduce the visible signs of premature ageing in younger skin. · Help improve skin clarity by reducing the appearance of blemishes. A humectant blend attracts moisture and locks it into the skin. Justine Optimist Anti-Ageing Day Cream SPF 15, 50ml. Code 3654. Justine Optimist Anti-Ageing Night Cream, 50ml. Code 3655. Justine A-Firm Eye Repair Serum with DN-AGE® helps prevent photoageing by protecting the structure of the skin against the damaging effects of UVA and UVB sun radiation. ° Suitable for normal to dry skin. Important: Retinol can make your skin more sensitive to sunlight. While using A-Firm Eye Repair Serum, a sunscreen with an SPF of 15 or greater should be used during the day. Retinol can make your skin more sensitive to sunlight, so be sure to use a sunscreen with a sun protection factor of at least 15 duriing the day. The convenient spray application makes it quick and easy to use. Vitamin E, a powerful antioxidant, nourishes and conditions skin and helps to neutralize excess free radicals. Tissue Oil Nourishing Satin Finish Body Spray, 200ml. Code 3688. Order early in the month to avoid disappointment. Due to the popularity of Justine products, offers are available only while stocks last. LAST DATE TO ORDER MARCH SPECIALS FROM ME IS TUESDAY 31 MARCH 2015. TO BE INCLUDED IN THAT ORDER. I mail Justine products to your nearest Post Office nationally and internationally. Email Mary for a quote. All cosmetic product results are achieved and maintained with continued use. A-Firm Time Reversal Anti-Ageing Serum 30ml. Code 4739. Regular Price R495. Only R305. Save R190. A-Firm Time Reversal Anti-ageing Day Cream SPF 25, 50ml. Code 4601. Regular Price R475. Only R259. Save R216. A-Firm Time Reversal Anti-ageing Night Cream, 50ml. Code 4602. Regular Price R475. Only R259. Save R216. Day Cream SPF 15, 50ml. Code 4730. Regular Price R445. Only R219. Save R226. Night Cream, 50ml. Code 4595. A-Firm Restore Skin Saver Elixir, 30ml. Code 4654. Regular Price R470. A-Firm Restore Anti-Ageing Day Cream SPF 15, 50ml. Code 4650. Regular Price R465. A-Firm Restore Anti-Ageing Night Cream, 50ml. Code 4651. Regular Price R465. WHEN YOU SPEND R199 ACROSS THE BROCHURE. SAVE R111. Anastasia Weekender. Code 0705. Regular Price R460*. Chic grey-coloured PVC weekender with poly-cotton lining and mock-croc detail. PREMIERE LUXE Eau de Parfum, 50ml. Code 0658. Regular Price R445. Only R269. Save R176. Justine Mashari™ for him Eau de Toilette, 100ml. Code 5731. Justine Mashari™ for her Eau de Parfum, 50ml. Code 5505. Regular Price R445. Only R259. Save R186. NEW Both for R69. Save R79. Order offer on Code 9367. Justine Mashari™ for her Anti-perspirant Roll-on Deodorant, 50ml. Code 0598. Regular Price R69. Justine Mashari™ for her Parfum Body Spray, 100ml. Code 0599. Regular Price R79. Pinque Aura Eau de Parfum, 50ml. Code 4487. Regular Price R445. Pretty in Pastel Eau de Parfum 50ml. Code 5501. Regular Price R445. Both for R249. Save R321. Order offer on Code 9423. Cantare Spanish Nights Perfumed Body Cream 200ml. Code 6363. Cantare Spanish Nights Eau de Parfum Spray, 50ml. Code 4502. All 3 for 299. Save R228. Order offer on Code 9362. Delirious Parfum Body Spray, 100ml. Code 5477. Regular Price R79. Delirious Eau de Parfum Spray, 50ml. Code 3022. Regular Price R379. Delirious Anti-perspirant Roll-on Deo, 50ml. Code 5457. Regular Price R69. Buy 1 get 1 free. Total value R890. Ruby Sky Eau de Parfum, 50ml. Code 5500. Regular Price R445. Only R445. Save R445. Bella Eau de Parfum Spray, 50ml. Code 3019. Both for R249. Save R265. Order offer on Code 9363. Encryption Evolve Eau de Toilette, 100ml. Code 4453. Encryption Evolve Anti-perspirant Roll-on Deodorant, 50ml. Code 5708. Regular Price R69. Carpe Diem Cologne Spray, 100ml. Code 4430. Both for R279. Save R235. Order offer on Code 9425. Icon Man Black Anti-perspirant Roll-on Deodorant, 50ml. Code 5706. Regular Price R69. Icon Man Black Eau de Toilette, 90ml. Code 4404. Regular Price R445. Special Price R299. Save R86. Carpe Diem Riche Eau de Toilette Spray, 50ml. Code 6195. Regular Price R269. Only R149. Save R120. Both for R99. Save R75. Order offer on Code 9426. Carpe Diem Riche Spray Deodorant, 225 ml. Code 5721. Carpe Diem Riche Anti-perspirant Roll-on Deo, 50ml. Code 5701. Regular Price R69. Red Extreme Sport Eau de Toilette, 100ml. Code 4450. Regular Price R445. Esteem Eau de Toilette Spray, 100ml. Code 4413. Regular Price R445. All 3 for R329. Save R290. Order offer on Code 9424. Azalta Deodorant Spray, 225ml. Code 5729. Regular Price R105. Azalta Eau de Toilette, 100ml. Code 5730. Regular Price R445. Azalta™ Anti-Perspirant Roll-On Deo, 50ml. Code 5709. Regular Price R69. All 3 for R249. Save R188. Order offer on Code 9427. Red Extreme Cologne Spray, 100ml. Code 6196. Regular Price R269. Red Extreme Hair & Body Wash. 200ml. Code 5739. Regular Price R99. Red Extreme Anti-Perspirant Roll-On Deodorant, 50ml. Code 5702. Only R99. Save R476 when you spend R245 across pages 25 to 33. Save R476 when you spend R245 across pages 25 to 34. Precious Luxuries Collection* Code 6319. Regular Price R575. Limited Edition. Only 8 560 available. Vanity Bag. Polyurethane with lining. 27.5cm L x 21cm H x14cm W.
Both for R325. Save R715. Order offer on Code 9443. FortiGrain™ Day Cream, 50ml. Code 4664. Regular Price R410. FortiGrain Revitalising Solution, 30ml. Code 4740. Regular Price R630. Fortigrain™ Facial Scrub, 100ml. Code 4785. Regular Price R220. Hydrobalance Continuous Moisture Release Cream, 50ml. Code 4608. Regular Price R410. Only R240. Save R170. Night Cream and Pore-Refining Mattifying Mask FREE. Save R650. Luminessence® Even Tone Serum, 30ml. Code 4726. Regular Price R430. Luminessence® Even Tone Night Cream, 50ml. Code 4727. Regular Price R410. Pore-Refining Mattifying Mask, 50ml. Code 4729. Regular Price R240. Special Treatment Cream Plus, 50ml. Code 4603. Regular Price R325. Only R130 each. Save R110. Dual-Action Exfoliator, 50ml. Code 4669. Regular Price R240. Anti-Ageing Mask 50ml. Code 4728. Regular Price R240. Basic Care Comforting Eye Gel, 10ml. Code 4589. Regular Price R130. Only R79 each. Save up to R121. Pure Youth Clean Act Foaming Cleanser, 150ml. Code 4780. Pure Youth Get Fresh Toning Lotion, 200ml. Code 4781. Pure Youth Face Forward Day Cream SPF 15, 100ml. Code 4782. Oil Control Deep Cleansing Face Wash, 200ml. Code 4738. Regular Price R145. Oil Control Spot Clearing Gel, 20ml. Code 4548. Regular Price R110. the Oil Control Matte Effect Cream FREE. Save R160. Oil Control Anti-blemish Facial Scrub, 150ml. Code 4544. Oil Control Matte Effect Cream, 50ml. Code 4543. Regular Price R160. Transform® Body Advanced Exfoliating Treatment, 200ml. Code 4645. Regular Price R245. Only R129. Save R116. Transform® Body Advanced Anti-Cellulite Treatment, 200ml. Code 4646. Regular Price R320. Only R225. Save R95. Bonus size Ultrasun Skincare Water-resistant Lotion SPF 30, 250ml. Code 3268. Regular Price R395. Only R169. Save R226. Ultrasun Skincare Sunless Tanning Spray, 150ml. Code 3262. Regular Price R165. Ultrasun Skincare After-sun Care, 150ml. Code 3267. Regular Price R175. Ultrasun Skincare Water-resistant Lotion SPF 40, 125ml. Code 3265. Regular Price R230. Only R95. Save R135. Ultrasun Skincare Age Defence for Face SPF 30, 75ml. Code 4647. Regular Price R235. Only R89. Save R146. Ultrasun Skincare Water-resistant Sun Stick SPF 30, 20g. Code 3263. Regular Price R125. Only R89. Save R36. Ultrasun Skincare Lip Shield SPF 25, 4g. Code 3261. Regular Price R98. Any 2 for R170. Save R71. Foaming Face Wash, 150ml. Code 4411. Skin Management for Men Foaming Shave Gel, 150ml. Code 4409. Regular Price R110. Post-Shave Gel, 50ml. Code 4776. ALL R99 EACH SAVE UP TO R156. Hydrating Cream Cleanser, 150ml. Code 4700. Regular Price R160. Hydrating Toning Gel, 200ml. Code 4701. Regular Price R160. Hydrating Day Cream SPF15, 50ml. Code 5334. Regular Price R245. Hydrating Night Cream, 50ml. Code 4703. Regular Price R255. Perfecting Gel Cleanser, 150ml. Code 4708. Regular Price R160. Perfecting Toning Lotion, 200ml. Code 4709. Regular Price R160. Perfecting Day Cream SPF 25, 50ml. Code 5333. Regular Price R245. Perfecting Night Cream, 50ml. Code 4711. Regular Price R255. Balancing Foaming Cleanser, 150ml. Code 4712. Regular Price R160. Balancing Toning Lotion, 200ml. Code 4713. Regular Price R160. 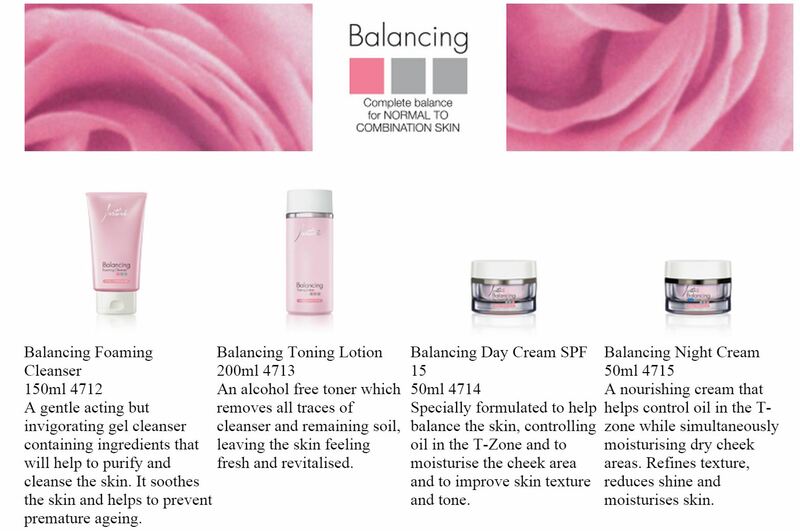 Balancing Day Cream SPF15, 50ml. Code 5332. Regular Price R245. Balancing Night Cream, 50ml. Code 4715. Regular Price R255. Mattifying Clay Cleanser, 150ml. Code 4704. Regular Price R160. Mattifying Toning Lotion, 200ml. Code 4705. Regular Price R160. Mattifying Day Cream SPF 15, 50ml. Code 5331. Regular Price R245. Mattifying Night Cream, 50ml. Code 4707. Regular Price R255. Soothing Cream Cleanser, 150ml. Code 4751. Regular Price R160. Soothing Toning Lotion, 200ml. Code 4752. Regular Price R160. Soothing Day Cream, 50ml. Code 5330. Regular Price R245. Soothing Night Cream, 50ml. Code 4754. Regular Price R255. LUXE Cashmere Eyeshadow, 9g. Regular Price R299 each. Only R215 each. Save R84. LUXE Silken Foundation SPF20, 30ml. Regular Price R279 each. Only R169 each. Save R110. LUXE Compact Mirror Code 0706. Regular Price R159. Only R99. Save R60. Only 18 000 available. Slides easily into your handbag for on-the-go make-up touch-ups. Iron case with glass cover and imitation gold plating. Only R99 each. Save R50. Tissue Oil Cuticle Treatment, 12ml. Code 4628. Regular Price R135. NailCare Ultra Nail Enamel Remover, 100ml. Code 4794. Regular Price R69. NailCare ManiPower Nail Strengthener, 10ml. Code 4808. Regular Price R135. NailCare Enamel Express Dry, 20ml. you Buy Any ColourCare Nail Enamel here. ColourCare Nail Enamel, 10 ml. Only R89 each. Save R36. Great offer: 1 for R99 or 2 for R159. LastingShine Longlasting Lipgloss, 12ml. Tissue Oil Lip Tint, 4g. Regular Price R130 each. Only R69 each. Save R61. LashBuild Mascara, 12ml. Code 3112. Regular Price R145. Only R79. Save R66. SheerVelvet BB Cream SPF 15, 12ml. Regular Price R99 each. Only R79 each. GentleCare Eye Make-up Remover, 120ml. Code 4604. Regular Price R145. PerfectSet Make-up Fixer Mist, 30ml. Code 4861. Regular Price R215. Only R89. NaturalFinish Pressed Powder SPF15, 12g. Regular Price R235 each. Only R169 each. Save R66. Both for R79. Save R51. Order offer on Code 9439. 250ml. Code 6002. Regular Price R75. 50ml. Code 6003. Regular Price R55. Both for R105. Save R75. Order offer on Code 9440. Body Balance For Men Aqua Ice Hair & Body Wash, 400ml. Code 6004. Regular Price R90. Only R59. Save R31. Body Balance For Men Aqua Ice Body Lotion, 400ml. Code 6005. Regular Price R90. Pedi Perfect™ Moisture-Lock Heel Balm, 100ml. Code 3371. Regular Price R110. Only R65. Save R45. Both for R139. Save R101. Order offer on Code 9366. Pedi Perfect™ Micro-Smooth Foot Dermabrasion, 100ml. Code 3370. Regular Price R110. Pedi Perfect™ Plus Intensive Foot Moisturising Cream 75ml. Code 5960. Regular Price R130. NEW Pedi Perfect™ Foot Cooling Spray, 125ml. Code 0655. Regular Price R110. Only R69. Save R41. Both for R199. Save R75. Order offer on Code 9441. Honey Herbal Liquid Hand Cleanser, 200ml. Code 4935. Honey Herbal Hand Treatment Cream, 200ml pump. Code 4931. Regular Price R155. Honey Herbal Kissed By Honey Whipped Body Mousse, 200ml. Code 4938. Regular Price R150. Only R89. Save R61. Honey Herbal Ageless Hands Night Serum, 50ml. Code 4934. Regular Price R135. Only R59. Save R76. Elements of Nature Cranberry & Pomegranate Hand Wash, 250ml. Code 3419. Regular Price R80. Only R59. Save R21. Any 1 for R55 or any 2 for R99. Elements of Nature Sandalwood & Orange Body Lotion, 200ml. Code 5930. Regular Price R100. Elements of Nature Cranberry & Pomegranate Body Wash, 200ml. Code 3443. Regular Price R100. Hygienic Hand Sanitiser, 50ml. Code 3360. Regular Price R35. Softening Body Cream, 250ml. Code 3351. Regular Price R90. Only R49. Save R41. Aqueous Cream Bar, 125g. Code 3355. Regular Price R35. Only R22. Save R13. Softening Liquid Body Talc, 150ml. Code 3398. Regular Price R85. Only R39. Hydrating Hand Cream, 50ml. Code 3356. Regular Price R60. 0nly R25. Save R35. Moisturising Lip Balm SPF 15. Code 3357. Regular Price R42. Only R25. Save R17. Exfoliating Body Scrub, 200ml. Code 3298. Regular Price R85. Only R49. Save R36. Nourishing Body Lotion, 400ml. Code 3354. Regular Price R80. Only R49. Save R31. Softening Body Wash, 250ml. Code 3353. Regular Price. Only R39. Save R21. Ladies Parfum Body Spray, 100ml. Regular Price R79 each. Only R49 each. Save R30. Men's Spray Deodorants, 225 ml. Regular Price R105 each. Only R69 each. Save R36. Carpe Diem Hair & Body Wash. 200ml. Code 5736. Regular Price R99. Only R65. Save R34. Tabasheer Gold Parfum Body Spray, 100ml. Code 5472. Regular Price R79. Only R49 each. Save R30. Tabasheer Gold Anti-perspirant Roll-on Deodorant, 50ml. Code 5452. Regular Price R69. Only R19. Save R50. NEW Cantare Body Butter, 100ml. Code 0637. Regular Price R120. Only R59. Save R61. Cantare Anti-perspirant Roll-on Deodorant, 50ml. Code 5453. Regular Price R69. Only R19. Save R50. Bermuda Purse. Code 0693. Regular Price R280. Only R139. Save R141. The Michelle Handbag. Code 7411. Regular Price R410. Only R249. Save R161. Functional front pocket. Mock ostrich. Neutral to suit any look. The Kourtney Handbag. Code 0506. Regular Price R499. Only R310. Save R189. The Kourtney Purse. Code 0511. Regular Price R299. Only R160. Save R139. Taylor Handbag. Code 7403. Regular Price R360. Only R199. Save R161. PVC with lining. Only 3 520 available. Cantare Cosmetic Bag. Code 0557. Regular Price R80. Only R57. Save R23. Zahara Cosmetic Bag Cream. Code 0560. Regular Price R120. Only R99. Save R21. Gold and black bag with black lining. Features a decorative tassel zip puller. Faye Handbag Code 0638. Regular Price R410. Only R199. Save R211. PVC with lining. Closes with a zip. Only 10 200 available. Pretty in Pastel Bracelet. Code 7398. Regular Price R200. Only R120. Save R80. Only 2 260 available. Stylish Ladies’ Scarf. Code 7399. Regular Price R150. Only R79. Save R71. Polyester Voile. 180 x 60cm with 8cm Tassels. SolarTec Bikini Bag. Code 0662. Regular Price R160. Only R80. Save R80. Body Balance Vanity Bag. Code 0555. Regular Price R150. Only R60. Save R90. Only 4 580 available. Features a top handle for easy carrying and a circular zip. Dream Star Pink Kisses Body Wash, 200ml. Code 6237. Regular Price R65. Ruff 'n Tuff Fixit! Hair Gel, 75ml. Code 6233. Regular Price R55. Both for R99. Save R101. Order offer on Code 9442. Only 890 available. Elements of Nature Mulberry & Blackcurrant Body Lotion, 200ml. Code 3447. Regular Price R100. Elements of Nature Mulberry & Blackcurrant Body Cleanse Mousse, 150ml. Code 3417. Regular Price R100. Elements of Nature Mulberry & Blackcurrant Bath-time Pleasures Collection. Tissue Oil Baby Botanicals Baby Oil, 125ml. Code 4682. Regular Price R150. Only R89. Both for R115. Save R120. Order offer on Code 9437. & Shampoo, 200ml. Code 4681. Tissue Oil Baby Botanicals Baby Wipes. Tissue Oil Gold, 50ml. Code 4670. Tissue Oil Lip Therapy. Code 4635. Regular Price R120. Only R49. Save R71. Tissue Oil Nourishing Body Wash, 150ml. Code 4634. Regular Price R160. Both for R299. Save R176. Order offer on Code 9436. Tissue Oil Nourishing Satin Finish Body Spray, 200ml. Code 4631. Tissue Oil Nourishing Body Protector, 150ml. Code 4638. All 3 for R249. Save R189. Order offer on Code 9438.